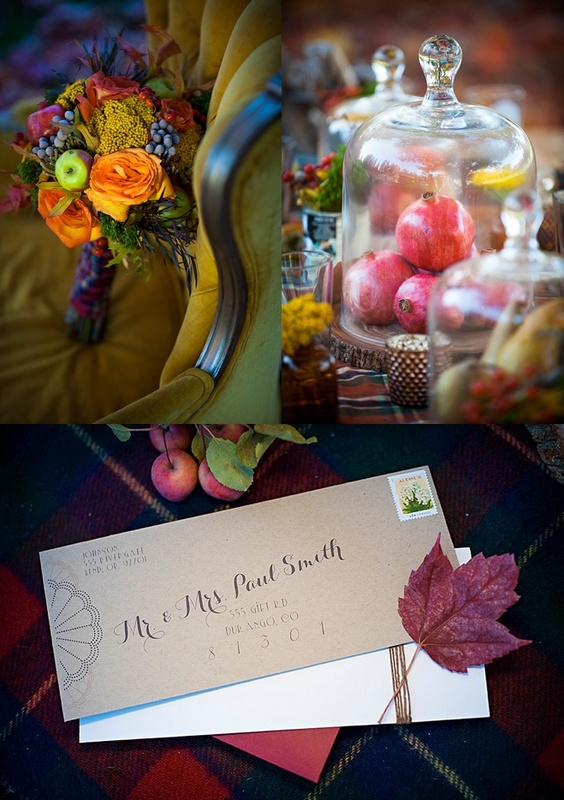 From the flannel tablecloths to the juicy seasonal fruits to the gorgeous backdrop of Oregon autumn leaves, everything about this inspiration shoot screams fall! Can you tell that I’m obsessed with this season? 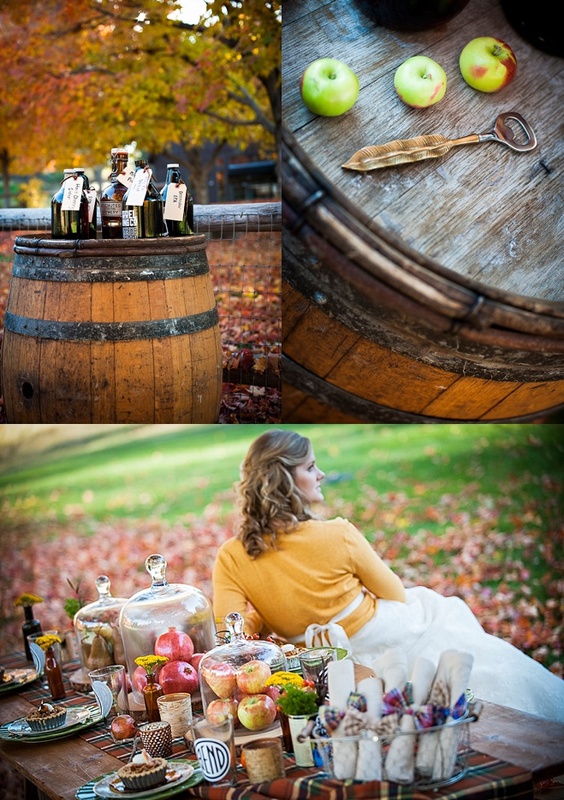 If you’re with me on the autumn inspiration addiction, this styled shoot does not disappoint. 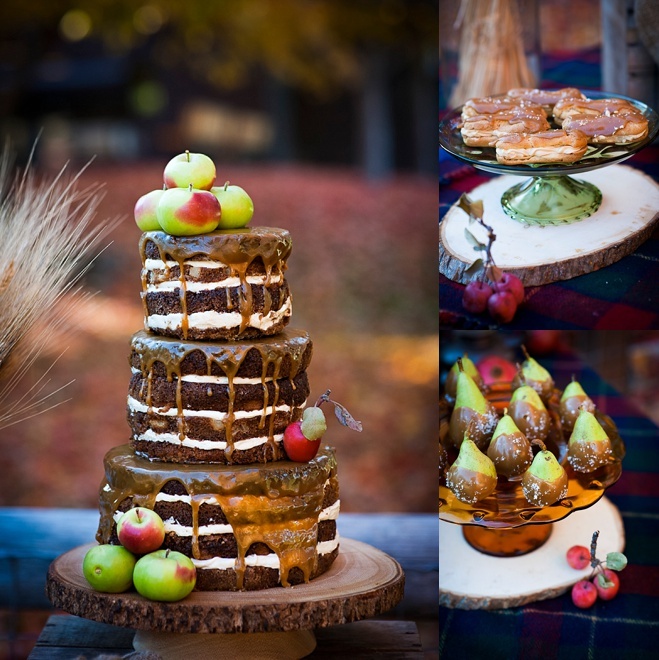 Naked cakes are everywhere right now, and this is a fun twist on a trend that won’t quit—chocolate layers oozing with caramel are made slightly more feminine with a smattering of green-and-pink apples. 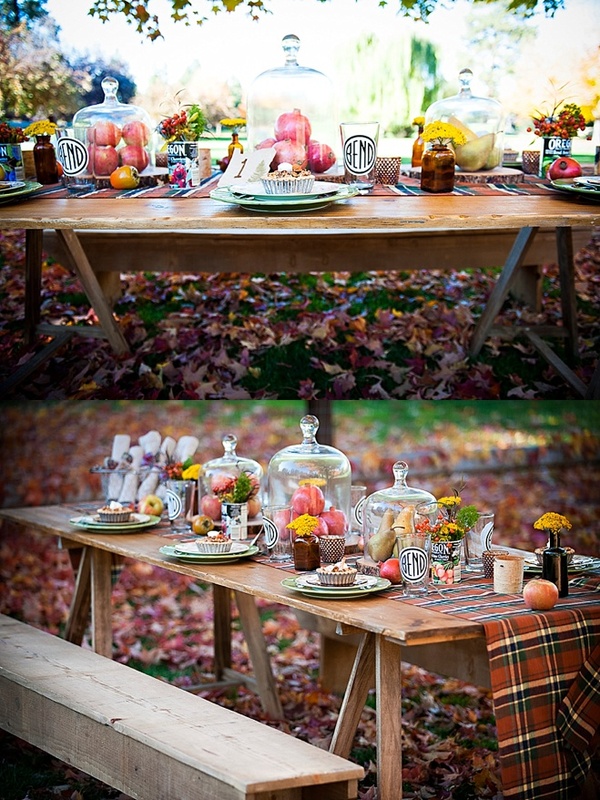 I’ve been seeing a lot of tablescapes featuring fruit or florals contained within bell jars as well, and I love how the princess-y feel of that look is balanced out here with rustic wood stumps. 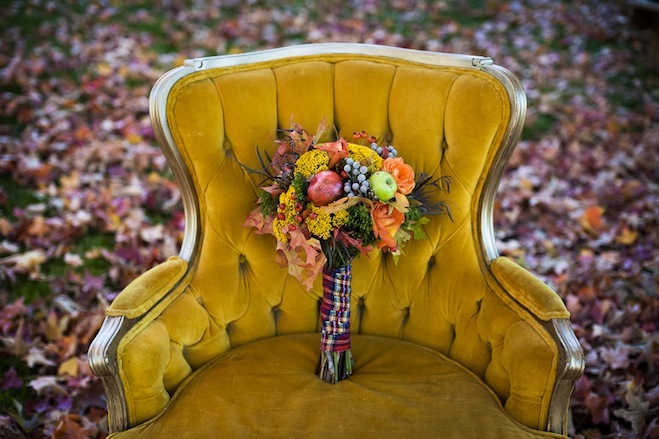 Lastly, can we all take a second to appreciate the vintage fabulousness of that mustard-yellow velvet chair? 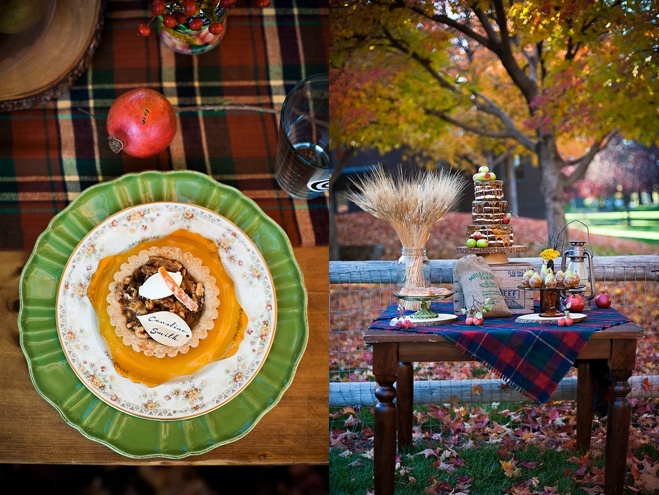 I’ll take two for my apartment for Christmas, please!